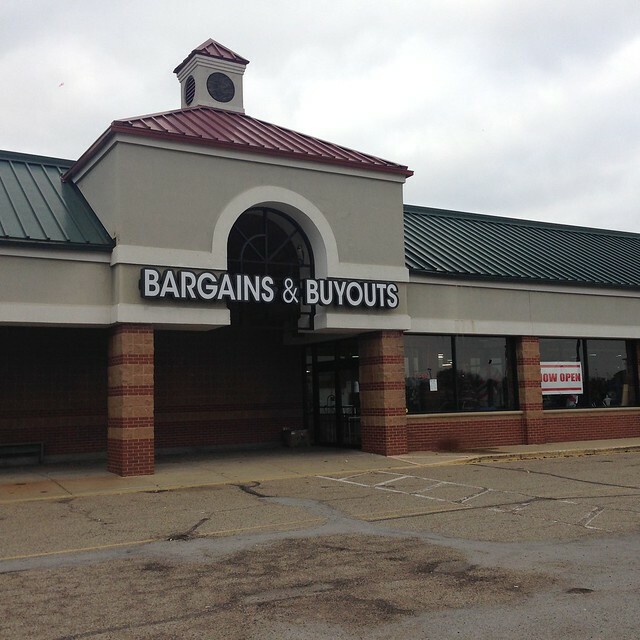 It’s been over a year since I shared the Cincinnati bargain furniture warehouseâ€”Bargains & Buyoutsâ€”as the ultimate deal source for everything home. A lot has happened since that post. So many of you have gone there and scored major deals. Word has spread (of which I was only a minor contributor) and it’s become an attraction for people traveling to the area. The place itself has gone through major changes. It went from 1 location, to 2 locations back to 1 location, but in a different place. The owners have not been great about communicating its new whereabouts and location changes, but I’ve figured it all out and I have an unofficial update for you. 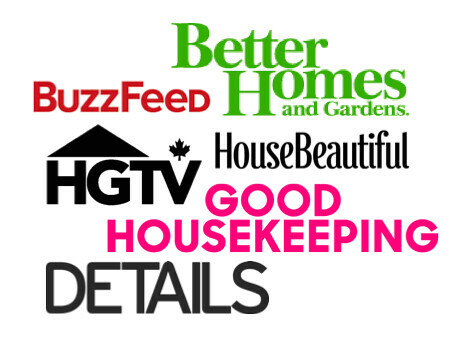 Welcome to the new Bargains & Buyouts. And it’s HUGE (this shot is only half of the store). Bargaining is also welcome, but I didn’t perceive it to be as good as before. You’ll have much better luck on getting a negotiated price if you bundle multiple items together. 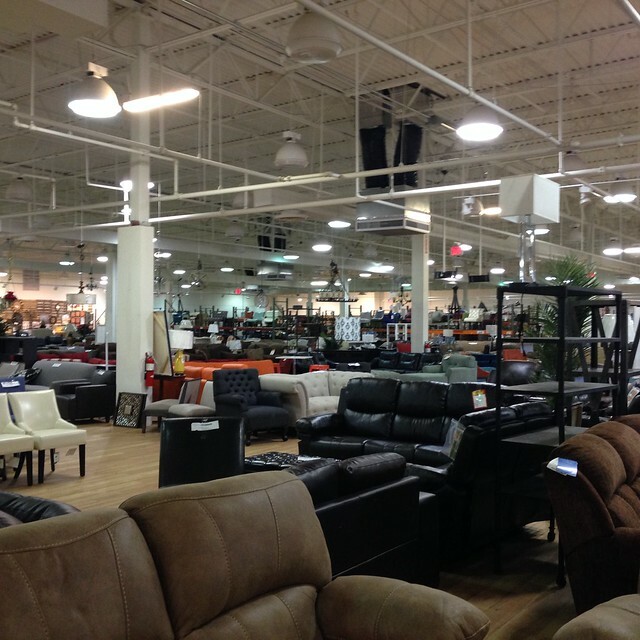 The store now is much more shoppableâ€”they are aisles for walking, most everything is priced and there are somewhat clear “departments.” You can expect to find here your basic home furnishing needs: bedframes, headboards, bedroom sets, sofas, lighting, accent chairs, ottomans, coffee tables, rugs, outdoor furniture and more. Now, I will say (as far as I can tell) that the prices are a little higher. I’m guessing their overhead as increased significantly (nicer store, lots more employees) but yes, you will still get amazing deals on quality pieces here.Â I went about a week ago and thought I would share some of the highlights. 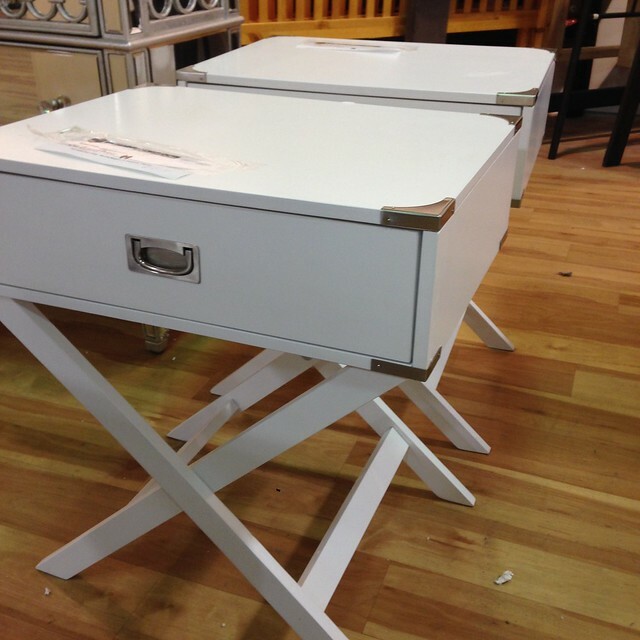 These campaign-ish x-side tables were $50 each at the time. These also came in other colors. Tabouret-style dining stools and chairs were just $15 a piece. 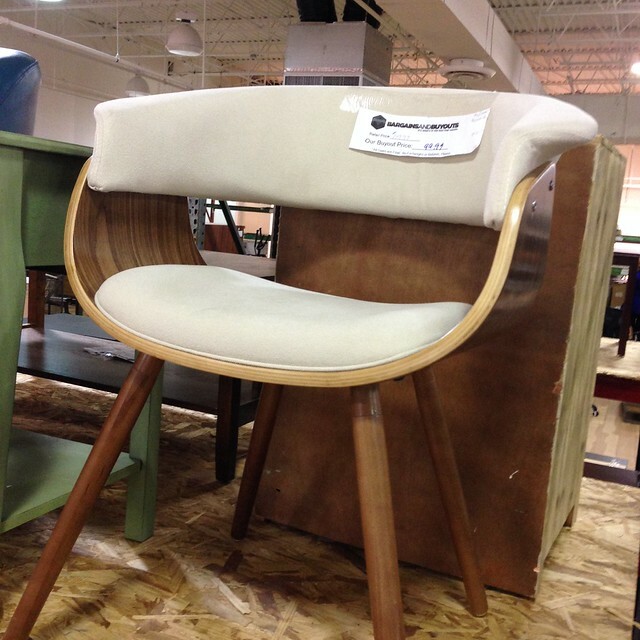 This bentwood chair was $99. If there was a pair, they would have come home with me. And this one for $250 (although I would have pointed out that the same model in the darker gray was just $150, in hopes for a bargain). 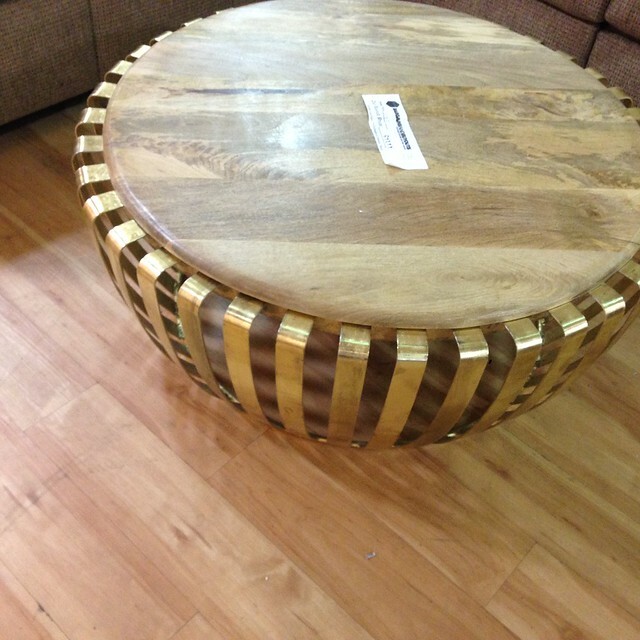 There are no words for this wood/brass coffee table. NO WORDS.Â $150. 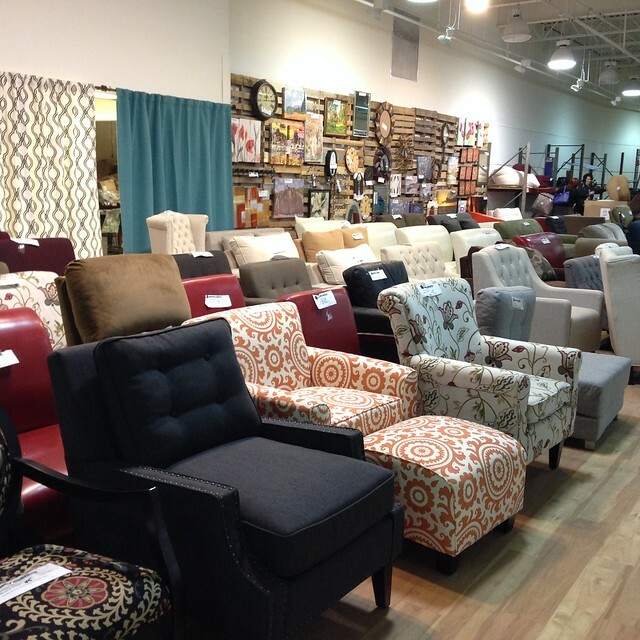 Accent chairs as far as the eye can see. These ranged from $150 – $300. 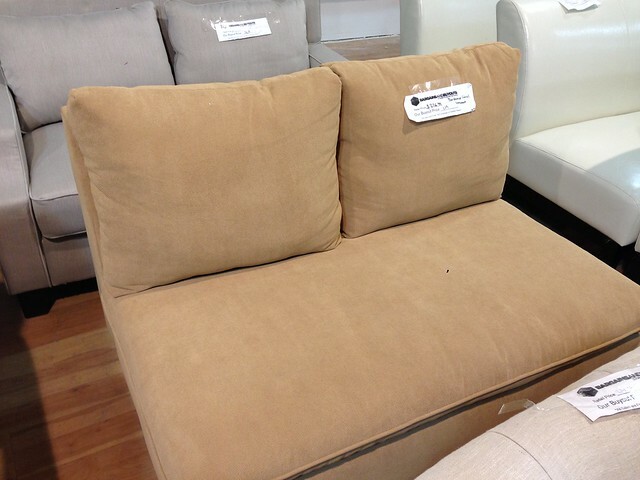 I was crushing on the color of this settee for $278. I’m convinced camel/cognac tones are the new gray. 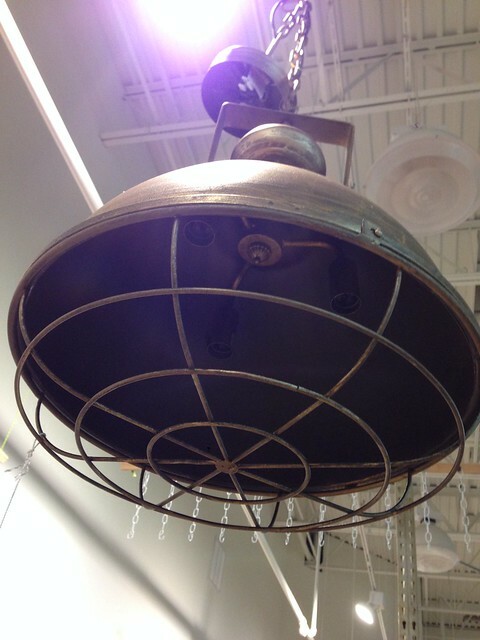 This cage light caught my eye too. I think it was $100. Lots and lots of ottomans. I liked this black and white one a lot. A price wasn’t marked but I’m guessing somewhere in the $150 range. 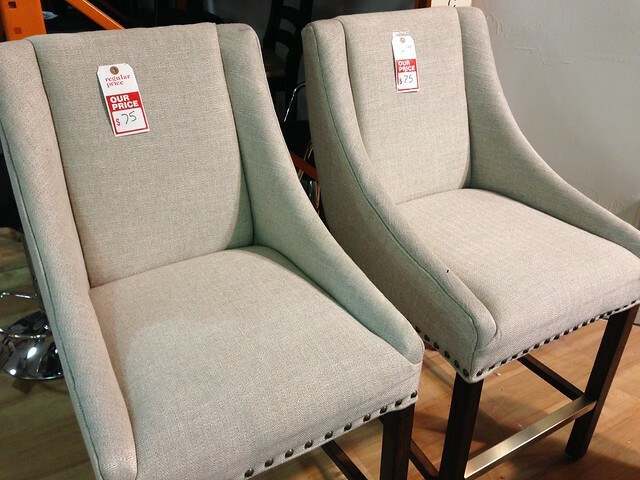 I loved the shape of these counter stools at $75 each. And of course they taunt you with this as soon as you arrive. 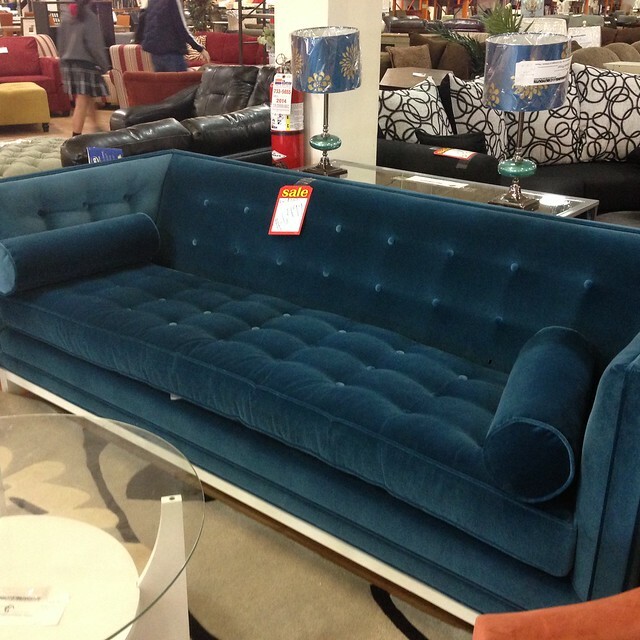 This is an actual Jonathan Adler sofa (NOT the JCPenney Happy Chic line). Price was $1499, which isn’t too shabby considering the retail price is nearly $5,000. I’m guessing it’s an older version of the Lampert sofa. Oh my gosh, oh my gosh… I have goose bumps LOL! That sofa!!!!! And all the other good stuff. I need a store like that in my life! They might exist in your area! I find them on Craigslist in the “By Dealer” section! Oh my gosh!!!! I seriously need to check this place out! 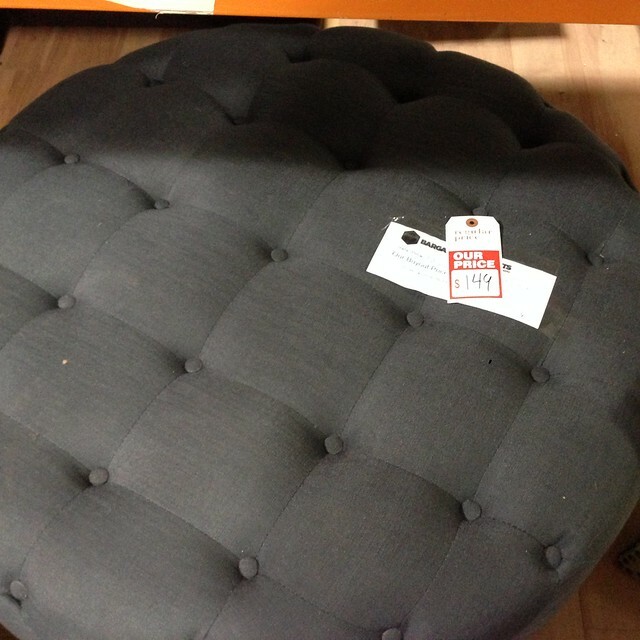 Those chairs and round ottoman…I want!!! Why can’t this be closer to me?!?! *insert pouting emoji here* Incredible things and so reasonable! That couch though. So beautiful! That couch is crazy insane. And they know it too. You practically trip over it when you walk into the place. It’s front and center. How have I not known about this place? Insane! I’m definitely checking it out – THANK YOU! Yes, love EBTH! Many things from my home are from there. I’ve got my eye on a few things at the new place. Why have I never heard of this?! I’ll be heading straight to this shop as soon as I purchase a house. It flies under the radar. A friend told me about it and I couldn’t believe it until I actually went. It’s good… real good. I will be in Cincy Dec 6 – 8. I can’t wait to go!!!!!!!!! (and also to hopefully see you an AMay). Thanks so much for the update. xoxoxox. Would love to hang out!! And yes, you should go. Let me know what you find! Sounds like I need to plan myself a trip to Cincinnati! Yes you do! And come visit me! So jealous! 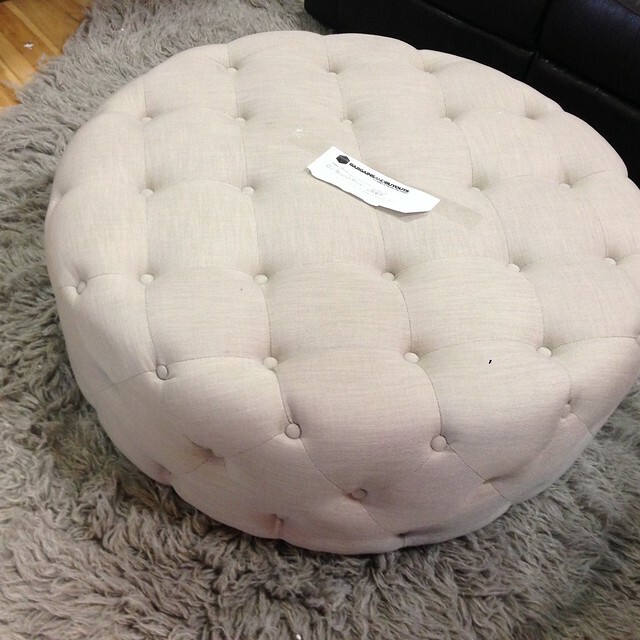 The $250 ottoman is the same one we have in our living room! 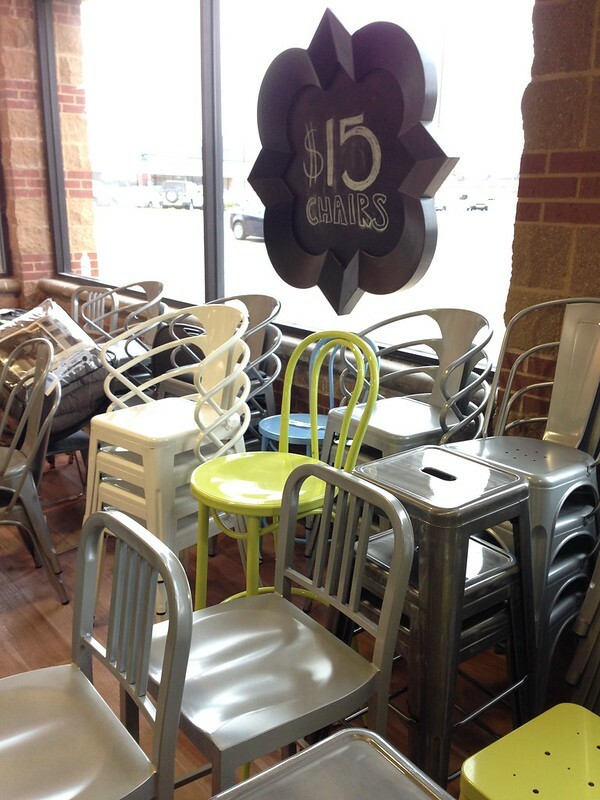 I wish we lived closer â€“ I’d be begging you to pick up some chairs for me! Haha! That would be a very long, long drive! I’m on the chair hunt too. Chairs are very special unicorns. Wow! 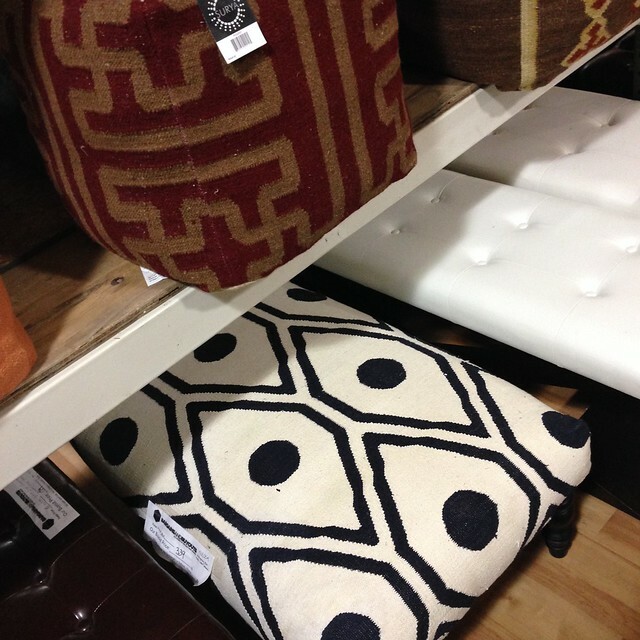 That Jonathan Adler sofa is absolutely breath taking! I would have had a hard time leaving that at the store without my name on it! Love the rich blue! What a great post for people who are local! I wish Texas wasn’t such a drive. I’m sure there is a place like this near you too! I tend to find them on Craigslist, in the “Furnitureâ€”By Dealer” section. They sometimes have “clearance” or “liquidation” in their name! Crazy, our friends were in town last weekend from Cincinnati and telling us all about this place! Was it not there when we lived in Cincy (8 or so years ago)? We will have to check it out when we’re in town for Christmas! You’ve got to go! You will love it! I would say about 15% is the aesthetic that I (and I think you) like, but that 15% is so good. How cool that something like this exists near you! Not so lucky where I am. But if I’m ever in Cincinnati, I’ll have to check it out! CAN YOU TAKE OFF THE OTHER STORES THAT YOU HAVE CLOSE AND PUT A TELEPHONE NUMBER ON LINE THAT WORKS. I don’t have any control over the information they put online! I’ve corrected any information I’ve put out there. I don’t think a correct telephone number exists. Any number I’ve found that I’ve tried to call has been tied to the closed stores. I know… they don’t like to make it easy on us! We just went the other day and got two 9×13 rugs and three bar stools for $250! How far is this from IKEA? ?